(Bloomberg) -- U.S. economic growth could face a challenging slowdown as the Trump Administration’s powerful fiscal stimulus fades after two years, according to former Federal Reserve Chairman Ben Bernanke. Bernanke, who stepped down from the U.S. central bank in 2014, is a distinguished fellow in residence at the Brookings Institution in Washington. The Congressional Budget Office forecast in April that the stimulus would lift growth to 3.3 percent this year and 2.4 percent in 2019, compared with 2.6 percent in 2017. GDP growth slows to 1.8 percent in 2020 in the CBO projections. Fed officials predicted 2 percent growth in 2020 in their March median projection. The degree of slowdown as stimulus fades is a matter of debate among economists, with some predicting the effects could last beyond two years if the U.S. boosts its capital stock and upgrades its workforce during this period of strong growth. 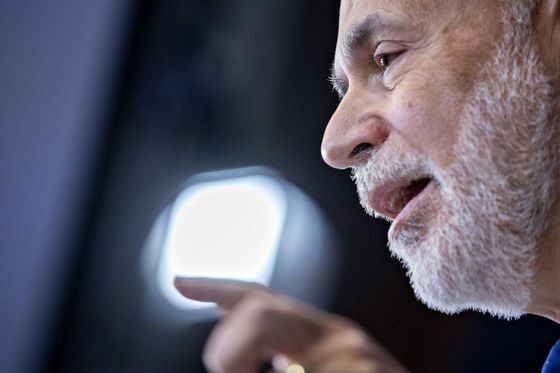 Congress could also write new spending laws to smooth out the program, Bernanke noted. With the stimulus coming at a time of already-low unemployment -- the jobless rate was 3.8 percent in May, matching the lowest in almost five decades -- Fed officials have projected inflation as likely to overshoot their 2 percent target, resulting in a slightly restrictive monetary policy in the future.